胡永江, 男, 副教授, 主要研究方向为无人机测控技术。E-mail: hyjbwcx@163.com. Objective With the development of military reconnaissance mission equipment, infrared and visible light target reconnaissance techniques have already become the main means of reconnaissance among military equipment. Research on infrared and visible light object tracking technology is important for the improvement of intelligence equipment related to battlefield acquisition and precision strike in military missions, such as all-weather target reconnaissance, object tracking, and target location. Presently, with the rise of computer vision technology, visual object tracking technology has gradually become the focus and challenge of research, and the methods and kinds of object tracking techniques are increasing. In this study, four kinds of visual object tracking methods, which are extensively used at present, are reviewed. This work serves as basis for follow-up research on the theory and development of object tracking. Method By analyzing the difficult problems of infrared and visible object tracking technology, the visual object tracking method is divided into generative and discriminative model methods, the different modeling methods of object tracking. The mean shift and particle filter object tracking in generative model algorithm and the correlation filtering and deep learning object tracking in discriminative model algorithm are reviewed in this paper. First, the basic principles of the three standard object tracking algorithms, namely, mean shift object tracking and particle filter object tracking methods and correlation filters for object tracking method, are comprehensively analyzed. Then, the limitations of the basic principles of the three tracking algorithms are listed, and the corresponding difficulties in object tracking that need to be solved are presented. By analyzing the difficult problems in object tracking, the mainstream improvement scheme of the corresponding object tracking algorithm is given. 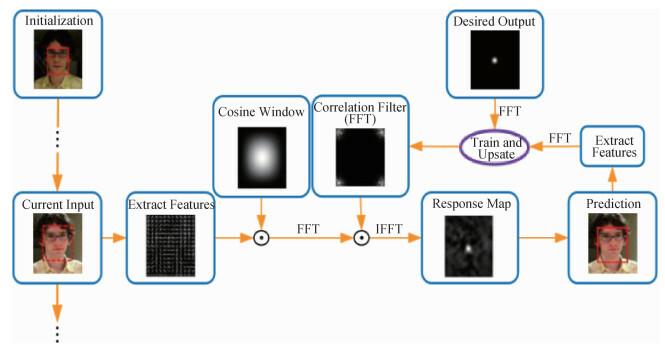 According to the characteristics of infrared image and the difficult problem of infrared object tracking, the improved algorithm of infrared correlation filter for object tracking is presented. We analyzed the methods of object tracking using deep learning and divided them into two categories. One is to take the neural network feature as the target feature extraction method. We analyzed its feature extraction principles and characteristics and feature extraction strategy in object tracking. Moreover, the corresponding improvement scheme is also provided according to the characteristics of infrared object tracking. The other one is the neural network framework. We summarized its principles and characteristics and analyzed its various architecture advantages and disadvantages in object tracking. To address the problem of infrared object tracking, an improvement scheme is proposed. 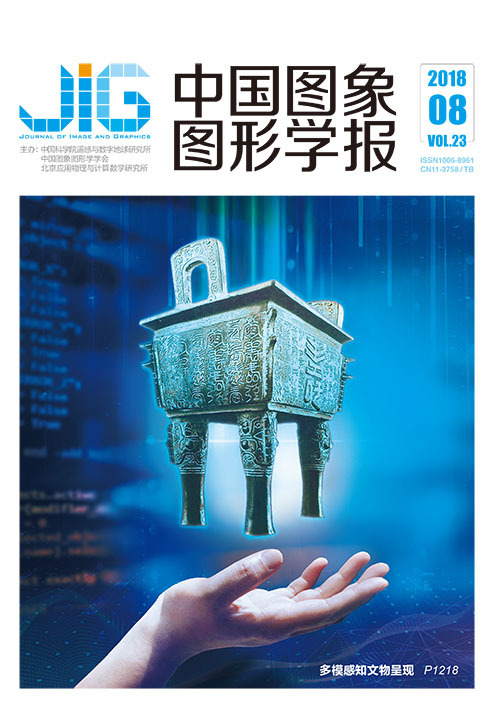 Finally, we summarized the present situation and discussed the practical application and future development trend of object tracking technology. Result Presently, the visual object tracking technology has a reliable performance under short-term object tracking condition. However, in long-term tracking required in practical application is difficult because the application scene is complex, making the difficult problem of object tracking prominent. 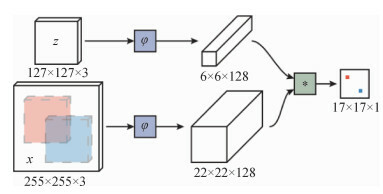 Given the key and difficult problems in object tracking, such as target occlusion and target out of view, the robustness and precision of object tracking technology are required to be high in practical application, and corresponding solutions to the problem of long-time object tracking should be put forward. In view of the progress in the research on technology related to visual object tracking, along with the demand of unmanned aerial vehicle reconnaissance mission and the high maneuverability of unmanned aerial vehicles, this study analyzes the key problems, gives the current solutions of the existing weaknesses and explores the development direction. Conclusion Thus far, the visual object tracking technology has performed remarkable progress, and its accuracy and success rate have been significantly improved. Visual object tracking technology is becoming widely used in the reconnaissance missions of military equipment. However, the technology of object tracking remains challenging. The related theories of object tracking need to be further tested and improved, especially in view of the characteristics of infrared object tracking. To improve the object tracking effect in infrared image, the corresponding object tracking method and improved scheme should be further studied. The object tracking is challenging because the application scene is complex. The robustness and accuracy of the object tracking algorithm should be high to avoid failure, and its real-time performance and tracking speed should meet real-time requirements. Considering the application characteristics and application scope of different military equipment, finding a visual object tracking algorithm is important. The algorithm must be relatively accurate and robust and meets real-time requirements to enhance the equipment's all-weather reconnaissance ability and target battlefield information acquisition capability. Li J C, Liu X M, Xue F L, et al. Infrared target tracking with adaptive bandwidth mean shift[C]//Proceedings of the 32nd Chinese Control Conference. Xi'an, China: IEEE, 2013: 4656-4660. Zhao Z N, Kumar M. An MCMC-based particle filter for multiple target tracking[C]//Proceedings of the 15th International Conference on Information Fusion. Singapore: IEEE, 2012: 1676-1682. Fan H, Xiang J H. Robust visual tracking via local-global correlation filter[C]//Proceedings of the 31st AAAI Conference on Artificial Intelligence. San Francisco, California, USA: AAAI, 2017. Wang N Y, Yeung D Y. Learning a deep compact image representation for visual tracking[C]//Proceedings of the 26th International Conference on Neural Information Processing Systems. Lake Tahoe, Nevada: ACM, 2013: 809-817. Wang N Y, Li S Y, Gupta A, et al. Transferring rich feature hierarchies for robust visual tracking[J]. arXiv preprint arXiv:1501.04587, 2015. Nam H, Baek M, Han B. Modeling and propagating CNNs in a tree structure for visual tracking[J]. arXiv preprint arXiv:1608.07242, 2016. Liu Q, He Z Y, Wang H Z, et al. Hierarchical Siamese network for thermal infrared object tracking[J]. arXiv preprint arXiv:1711.09539, 2017. Wang Q, Gao J, Xing J L, et al. DCFNet:discriminant correlation filters network for visual tracking[J]. arXiv preprint arXiv:1704.04057, 2017.